Lint Boy and Lint Bear live in their cozy dryer home, carefree and happy—until the day Lint Bear is snatched away by a cruel woman with a vendetta against dolls! 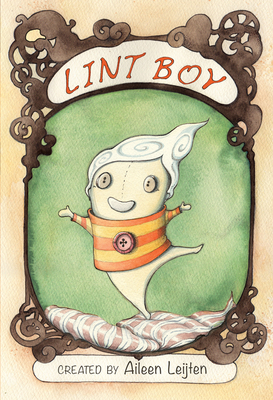 Can Lint Boy unite a group of lost dolls to vanquish the villain and save his brother? This magical story is showcased in the stunning full-color art of this young graphic novel. A gently gothic, age-appropriate blend of Roald Dahl and Tim Burton, Lint Boy is a compelling tale of good vs. evil that will leave readers spellbound.